first direct are no strangers to awards. They’re like magpies, in fact, when it comes to glinting trophies. 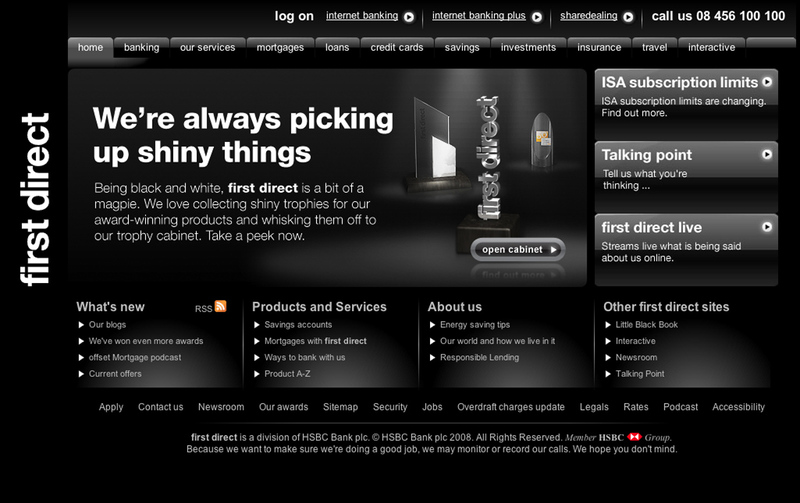 This quietly confident eye-catching banner lets their customers know that they’re an award-winning bank. We’re always picking up shiny things. Being black and white, first direct is a bit of a magpie. We love collecting shiny trophies for our award-winning products and whisking them off to our trophy cabinet. Take a peek now.